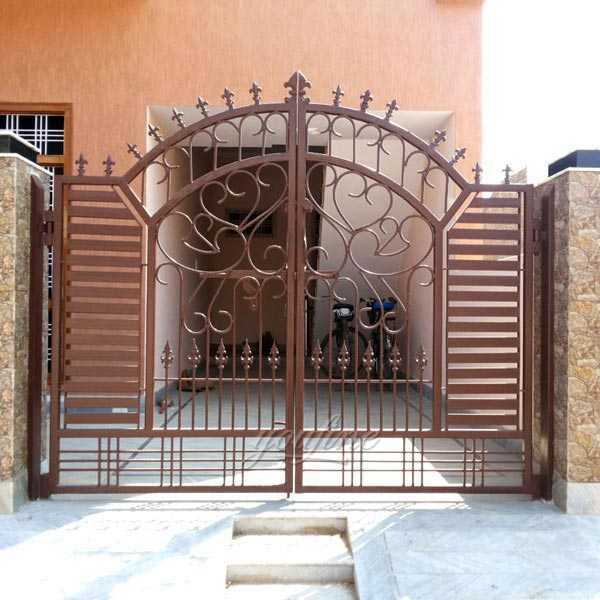 All wrought-iron driveway gates shown here can be either swing gates or sliding doors.We recommend the use of swinging lane gates whenever possible.Contact with us,if you have some requirement or inquiry about wrought iron driveway gates,having focusing on casting iron gate since 1983. 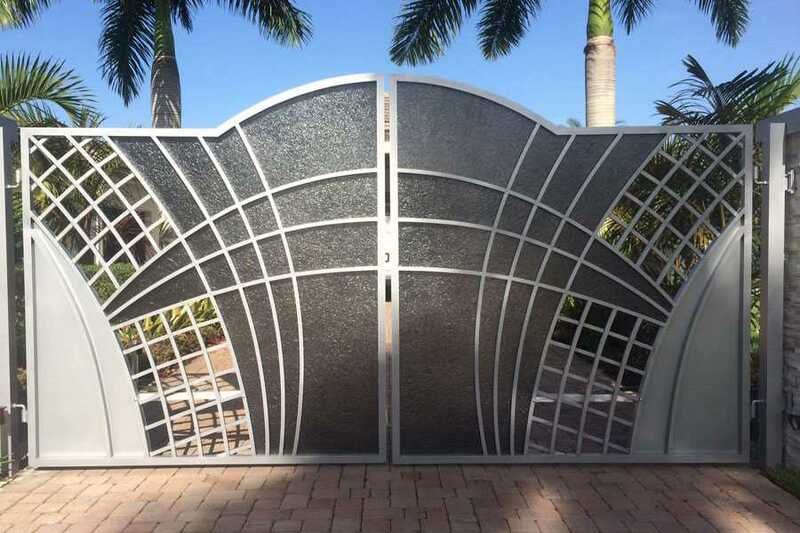 See our custom gate designs and ideas or talk to our friendly staff at 1-777-725-0029 about your design idea. 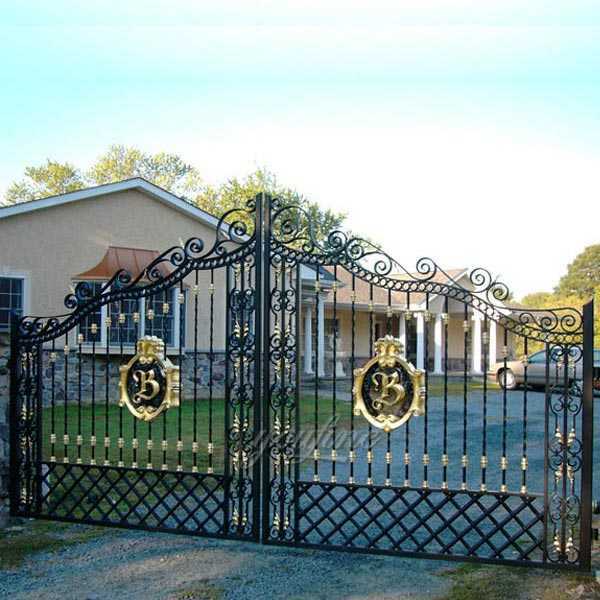 We will provide a detailed CAD drawing of your custom driveway gates with dimensions. 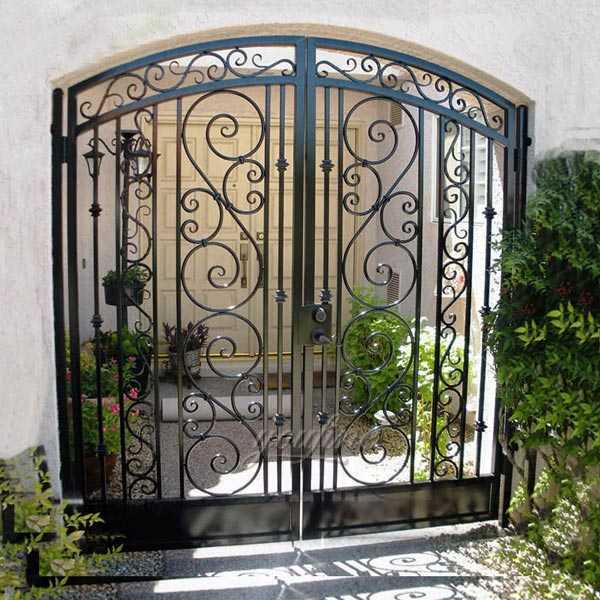 All wrought iron driveway gates shown here can be either swing gates or sliding doors. We recommend the use of swinging lane gates whenever possible. 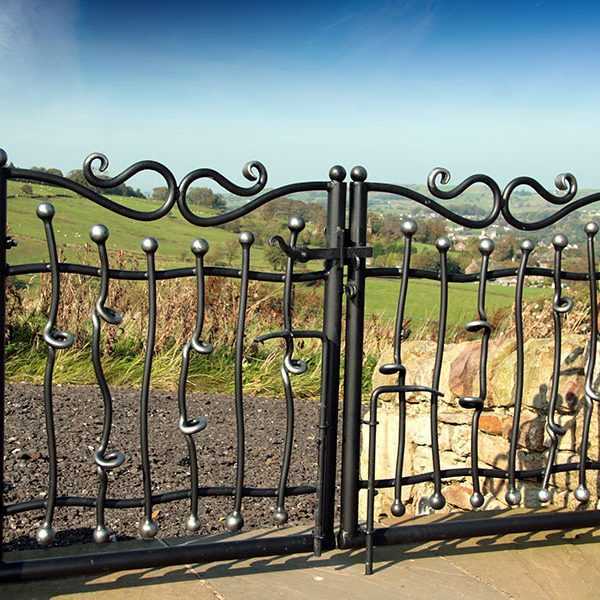 Swinging gates are easier to install than sliding, and usually cost less. Certain conditions prevent the successful swinging door operation. Call us to help determine the best solution for your driveway. How about installing the swing garden front entry gates and walking the door? 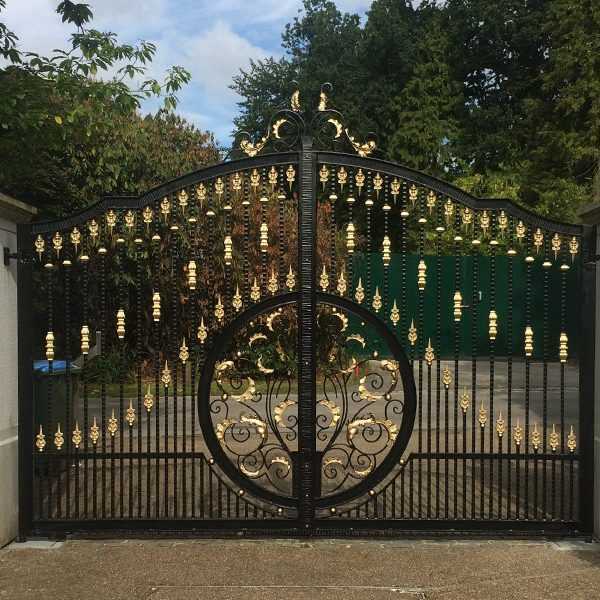 Because the wrought iron driveway gates and walk gates can have different hinge and latch options, each configuration may be installed in a slightly different manner, making it slightly difficult to give a general overview. However, the matching walking door and the larger driveway door are still DIY friendly. We already have a lot of DIY homeowners installing a large arched driveway door, including optional automatic doors, without any problems. You can view our “Gates only” Installation Guide on our installation page, or view our various video and blog posts on door hinges, latches, and general installation. 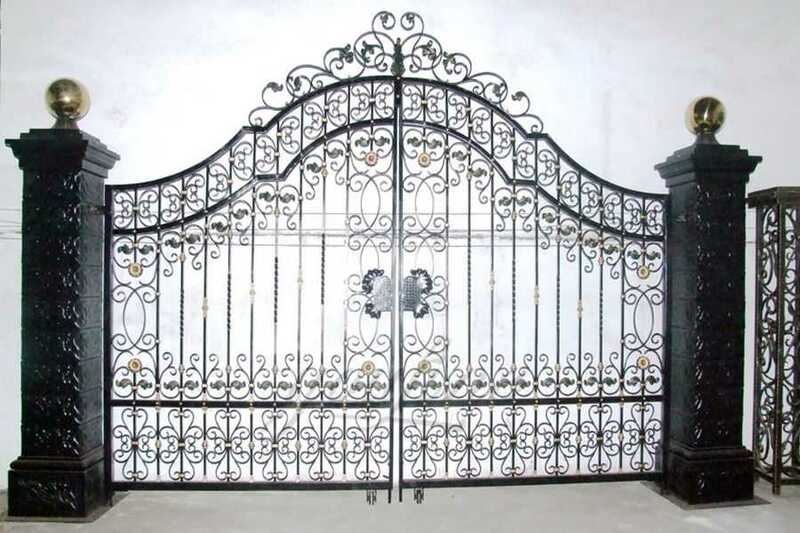 Contact with us,if you have some requirement or inquiry about wrought iron driveway gates,having focusing on casting iron gate since 1983. 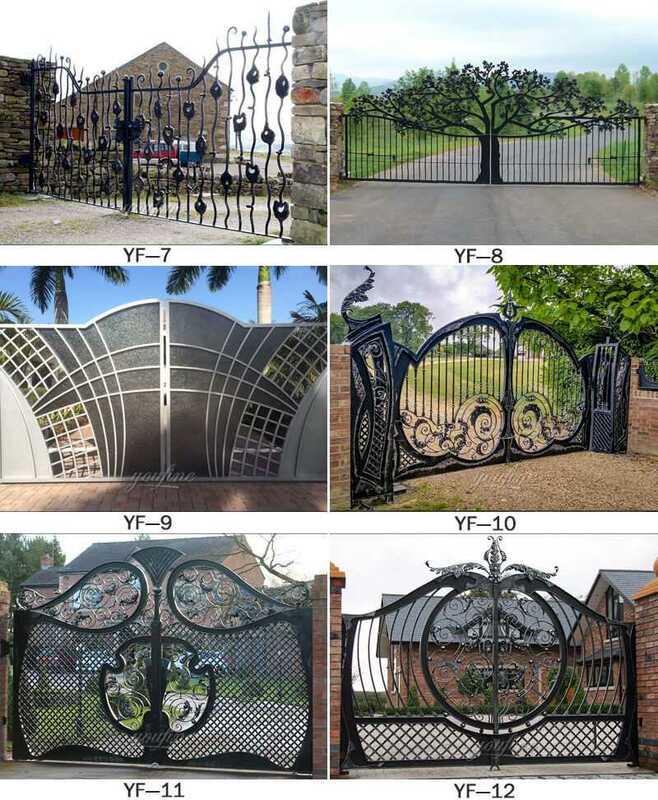 Wanna A Wrought Iron Gate ? Choose Us !